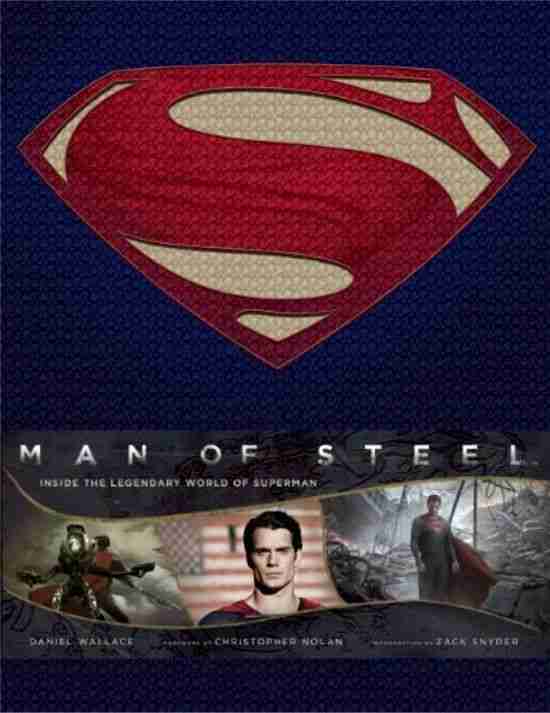 Fans of Man Of Steel will get a major kick out of Man Of Steel: Inside The Legendary World Of Superman. The book, like the film, is an epic volume that charts the making of Zack Snyder and Christopher Nolan’s Superman reboot. Daniel Wallace’s book offers a good selection of behind the scenes photographs, but the major draw here is the vast array of concept and production art. Some of them are truly stunning, showing the amount of detail and dedication that Snyder and company went to in order to bring the legendary superhero to the screen. Wallace talks to the cast and crew, who discuss what it’s like taking on such an iconic character. My only gripe with Inside the Legendary World of Superman is that it just doesn’t go into enough detail. Wallace touches on some great topics (like the CGI creation of Zod’s suit), however he doesn’t expand on them. It’s a shame, considering the many interesting aspects that go into a production as large as Man Of Steel. However, it does manage to cover most of the film’s production, so at least we get to have an overview of how the film came together, rather than a detailed account. Man Of Steel: Inside The Legendary World Of Superman is a great looking book – the textured cover (like Superman’s costume and ‘S’) alone makes it stunning, while the art inside is impressive to the eye. It could do with a bit more detail on the ‘nuts and bolts’ of making a summer blockbuster, but there’s enough here to make it worth your time.